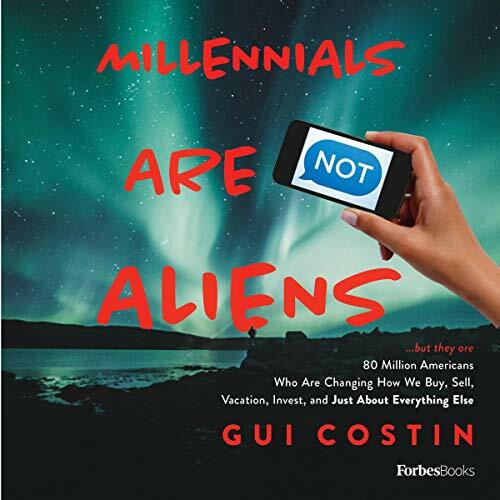 Gui Costin wrote Millennials Are Not Aliens: ...But They Are 80 Million Americans Who Are Changing How We Buy, Sell, Vacation, Invest, and Just About Everything Else to provide insight into the millennial generation and how their habits differ from those of the baby boomers and gen Xers. You'll learn everything about how millennials' habits have reshaped the business and social landscape. Baby boomers and gen Xers tend to mimic many of the consumption behaviors of millennials, but they do not embody their content creation behaviors. Content drives most purchasing decisions today, and the ability to create content about your products, services, and organization is at the heart of what is driving growth today.